Care2 Healthy Living | How Many People is Too Many? How Many People is Too Many? Searle Whitney, is President of HowMany.org, a population studies organization. Due to this month’s marking of the seven billion humans on our planet, it seemed appropriate to ask him some questions about the consequences of our very large and growing population. 1. When you see this month the human population will hit seven billion, what is your reaction to that number? Our reaction is one of concern on the one hand, about the unsustainable pattern of growth, given the obvious economic and environmental strains on societies the world over. On the other hand, we are unceasingly optimistic that people everywhere are beginning to understand the contradiction of wanting infinite growth on a finite planet. Many economists are seeking measures of well-being than don’t rely on GDP and it’s built-in tie to population growth. Building more factories to use more resources and generate more emissions doesn’t improve most people’s quality of life. We know the planet is suffering to meet demand for its resources. We see it everyday in issues around the world, from water and energy shortages, joblessness and economic decline, to species extinction, natural disasters and climate change, among others. 2. Are there researchers who say the planet is already overpopulated with humans? Certainly, the most famous scientist alive today who understands this to be true would be Dr. Paul Ehrlich and his wife Anne Ehrlich of Stanford University. However, more and more researchers are coming to the forefront as the movement coalesces around the 7 Billion mark and its moment of national awareness. Sadly, there is tacit pressure on mainstream journalists and scientists to ignore the population-environment connection. Often, corporations and foundations are victims of the antiquated economic model alluded to above – the model of consumption and GDP, or the idea that population growth equals economic growth, because they see people only as consumers. Unfortunately, GDP does not account for general quality of life and social well-being. In other words, GDP can go up because of population growth, while at the same time, median household incomes (and often quality of life) can go down. 3. 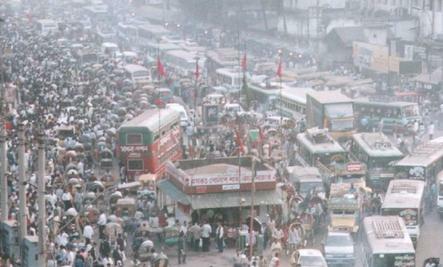 What are the main environmental problems associated with overpopulation? It sounds bold – we think that most environmental, social and economic problems have at least a partial link to the large number of people on Earth. In the developed world, our rate of consumption can be tied directly to greenhouse gas emissions, which we know are eroding our atmosphere, effecting the air we breathe and the water we need to survive. In the developing nations, like China and India, the carbon footprint is growing rapidly as more and more people enter the middle class. As human population increases, we directly harm other species. Through habitat destruction, habitat fragmentation, direct competition for resources and out and out slaughter, it looks like we are causing the greatest extinction of other species since the asteroid that hit the earth 65 million years ago wiped out the dinosaurs. 4. What are the fastest growing countries currently? India, Nigeria, Pakistan and the U.S. are expected to have the most population growth in the next 40 years. Each of these are highly problematical for different reasons; the U.S. because of the large amount of global resources each resident consumes. 5. What is the largest number of humans the Earth and its ecosystems can support in a sustainable way? It’s a good question – really the question – and it’s the challenge that underlies our organization and the entire human impact movement. Some say it was 5 billion, which we reached in the 1980′s, and we’ve been in ecological overshoot ever since, using more resources than we actually have more than the Earth can replace or sustain. It’s a similar concept to the debt and deficit discussion happening in the U.S. Congress. We’re writing checks that our coffers can’t cash, whether real or natural capital. Joel Cohen wrote an excellent book, “How Many People Can the Earth Support” in which he estimates that if everyone consumed like Americans, the planet might sustain about one billion; if we all consumed like Europeans, about two billion. He also presents an estimate that perhaps a trillion of us could live here, but my question is, who would want to? 6. If the human population was just half of what it currently is, would the rate of species extinctions be as high as it is? No. It’s safe to assume the rate of extinction is directly proportional to human impact and population congestion. In most parts of the world, the past 40 years since the first Earth Day have seen people moving into more and more habitats that were previously able to support a wide diversity of other species. The Brazilian rainforest, and the preserves of India come to mind as regions where the stresses on other species have been particularly extreme, but no habitable region of the planet is immune. 7. How does higher education levels contribute to smaller family size? As women and girls are empowered by education, particularly in the developing world, they have more control over their own lives and bodies, including access to contraceptives, which will help create sustainable family sizes. As people become more educated, they see options other than raising large families, and they tend to want to be able to do more for each child, providing them with better health and education. Hand in hand with this is improving women’s health care in these parts of the world, so that infant and maternal mortality risk is reduced, which reduces the pressure to have 8 or 9 children. 8. What are the chief research studies showing the effects of overpopulation? One study that sticks most in my mind is a National Geographic piece from around 2005. A lifelong inhabitant of a small sub-Saharan village spoke of gathering firewood, a task which requires walking 4-5 hours each day. He remembered that when he was a child the forest came right to the edge of the village. This is a mirror for the many times daily that we are reminded of the effects of overpopulation. Remember the Gulf Oil spill last year? The reason they got into trouble was that they are drilling over a mile below the ocean surface with risky, unproven technology. The reason they want to do this is that we have used up the cheap, easy oil reserves in this country, and most parts of the world. We have too many people depending on our planet’s resources. At the other end of the consumption cycle, think of greenhouse gas emissions. The planet’s oceans and forests could sequester and process the emissions of one or two billion people. But since we have so many more, the gases build up in the atmosphere and are affecting our climate. 9. Is is true that the best thing to do for the planet is to have less children? We believe that the best thing to do for the planet is to move away from a growth for the sake of growth mentality, where “bigger, better, faster, now” rules the day, and it’s always a zero-sum game. That mode of action and related policies expired with the latest housing bubble and ensuing financial crisis. A large part of it is how we consume, and family size is a part of that. What is indisputable is the fact that we add about 250,000 people to the planet each day. We would like to see a stable, sustainable birthrate, where births and deaths are more or less equal. Children are wonderful and raising them is a life-changing experience. We feel that having one or two, or none or three, are all good options. As with most things in our great nation, ultimately, it is the choice and freedom of the individual to determine the best size for their own family. 10. The human population is growing, and so are some nations as they move toward greater industrialization and higher incomes…is the inevitable outcome more air pollution, more conversion of natural habitat to farm land and urban development? It certainly seems like the logical outcome, and everything we’ve seen up until now shows it to be the case. Though technology has its place, and through innovations in farming and energy we may be able to muddle along for a little while, but ultimately we need to address the elephant in the room, and this unsustainable pattern of behavior. Fortunately, social and economic forces in the U.S. and around the world are shifting as we speak, and the time is right for an open conversation about population congestion and the best path forward for our species and all species. 11. If the human population was half of what it is today, would climate change be such a growing problem? A lot of things would be different (by most accounts, better) if human population was half of what it is today. We would not have an unemployment rate at 10 percent, because there would be less competition for more jobs at every level, and pay scales across the board would be higher. Fewer people would be vying to purchase products and services: food, health insurance, electronics, and luxury items would all fall within a family budget. And the per capita availability of virtually every natural, non-renewable resource would rise, from grazing land to minerals and energy sources, resulting in a cost drop for consumers and end users. With respect to climate change, there is a direct relationship between the spike in both CO2 and global population since around the time of the Industrial Revolution. This is fact; it is indisputable. Through photosynthesis, the planet’s oceans and forests turn CO2 emissions into oxygen, but not for the amounts that we emit today. A smaller population that consumed less would make it a whole lot easier to reduce our emissions to a scale that is manageable by the Earth’s ecosystems. 7 Billion Humans and Growing…. Excellent article. For anyone thinking about having children, adoption should be the first option. There are so many unwanted children that would love a good home. If you can love a cat, dog, or any pet, why not a child that you personally haven't given birth to. DANG REPUBLICANS! STOP TRYING TO FORCE WOMEN TO HAVE KIDS WHEN THEIR NOT READY! Mary, your solution to climate change and species extinction is to reference racism? So ...stop listening to your church...use birth control.. Many many things can be done IF THE WILL WAS THERE! Population control advocates are using the 7-billionth child to beat their eugenics drums to a deafening roar. No matter how hard they beat, they cannot hide the vicious racism & barbarous politics at the heart of their ideology. Modern eugenicists are moronic in their arguments, claiming deforestation, mass starvation, extinction of other species, depletion of natural resources, poverty are all caused by babies--but, of course, only brown & black babies, even though population density is greater in predominantly white countries, and even though babies are not driving the corporate bull dozers. The women's movement had tangles with these people since population control requires a direct assault on women's right to reproductive freedom & always entails forced sterilization. dont live too long then.